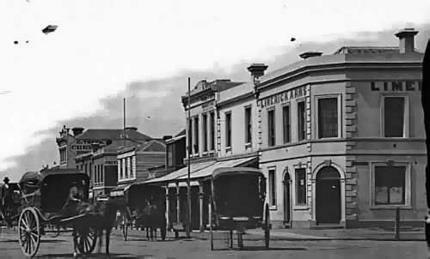 Explore up to 20 past and present historic hotels of South Melbourne from the 1850s to today in Victoria’s oldest suburb outside the City of Melbourne. 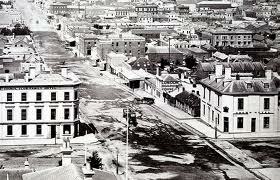 Once there were 98 hotels in South Melbourne going back to the gold rush, Its location directly opposite the CBD across the Yarra, meant its population included many wharf workers and seamen, given its proximity to the port. As a result, a very working-class character developed, and the pubs that emerged reflected this culture. The tensions of the painters and dockers’ union played out in violence in hotels in South Melbourne and culminated in the 1973 shooting of union secretary Pat Shannon at Druid’s Hotel in Park Street. Over the years many have wept over the apparent imminent demise of the relatively humble hotel. The live music scene is often under threat by opposition from neighbouring residents. The advent of techno music and gambling has also raised many concerns. Changes to licensing laws and the growth of alternative venues to consume alcohol have also changed the traditional role of the pub. The gentrification of South Melbourne has meant new residents with different needs. Several hotels, including those on Fitzroy Street, have become ‘up-market’ venues with more expensive wine lists, catering to younger and more affluent drinkers. The Gunn Island Brew Bar, formerly the Middle Park Hotel, even had its own micro-brewery and attracted the Grand Prix crowd. The commercial modern developments that accompany this gentrification may threaten heritage buildings or places that have important social associations that the community wants to preserve. The vociferous campaigns against the proposed changes to the Esplanade and Victoria hotels over the past decade reflect the strong community concerns about these changes. Despite the pessimism, many of our oldest public buildings – the pubs – have weathered all these changes. Go down to one of the many hotels listed in this book and experience the historical ambience. Stand on the footpath and visualise past events in pubs converted long ago to private houses. Alternatively, try a local survivor that is still open today. In some, the carpet may be a bit grotty and the scent of stale beer may prove a bit overpowering. In others, perhaps, the place has been refurbished with trendy lime-green walls, marble bathroom sinks, and even its own microbrewery. Either way, it is impossible that there will not be at least a few good stories in its past.